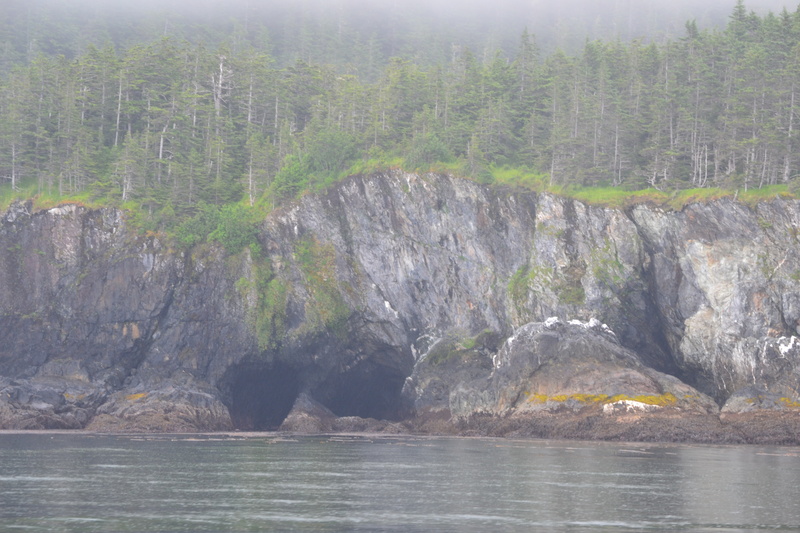 Nice caves, spires, and scenery on the way to Pelican, a small town deep in Lisianski Inlet. It still has a Post-Office and a library and a school, but no grocery store. The general store has closed. And there is no cell phone service at all. Most people here are in the fishing business. 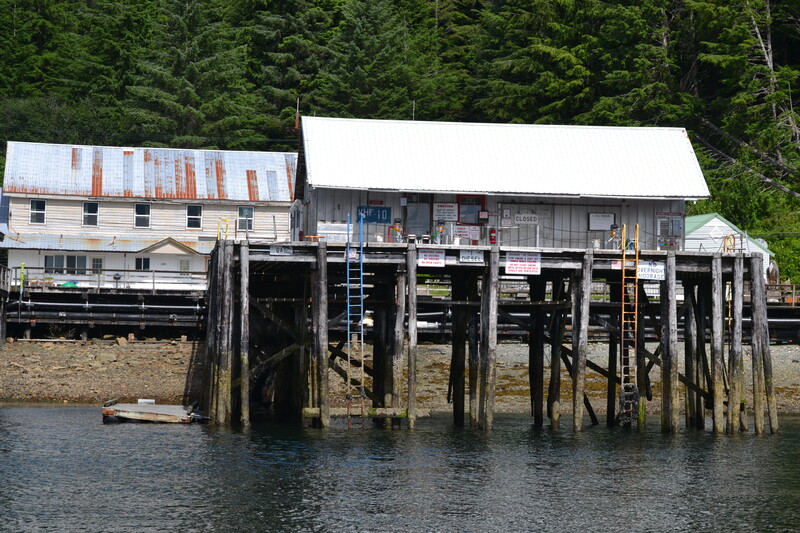 The town is built on a boardwalk and stilts right over the water and they have a hydro-electric plant right in town. Also Ferry service is still running. We just bought two big Dungeness crabs on the dock so tonight is a feast. Got to go cook now. Rather steam the beasts in the pressure cooker to save on water and propane. No big cauldron of hot water on Frogs! Worst fuel dock in the world, climb the ladder for the hose? no dock to tie up to! 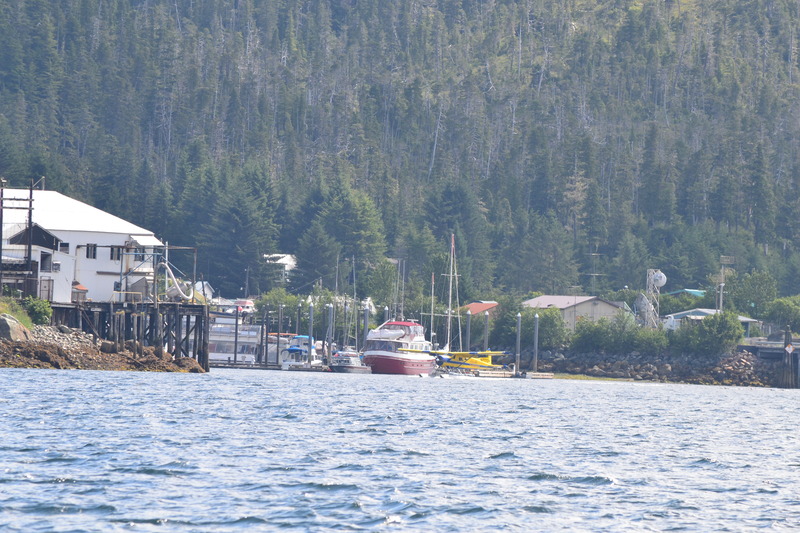 This entry was posted in The Log and tagged alaska, pelican, sailing, sailing. 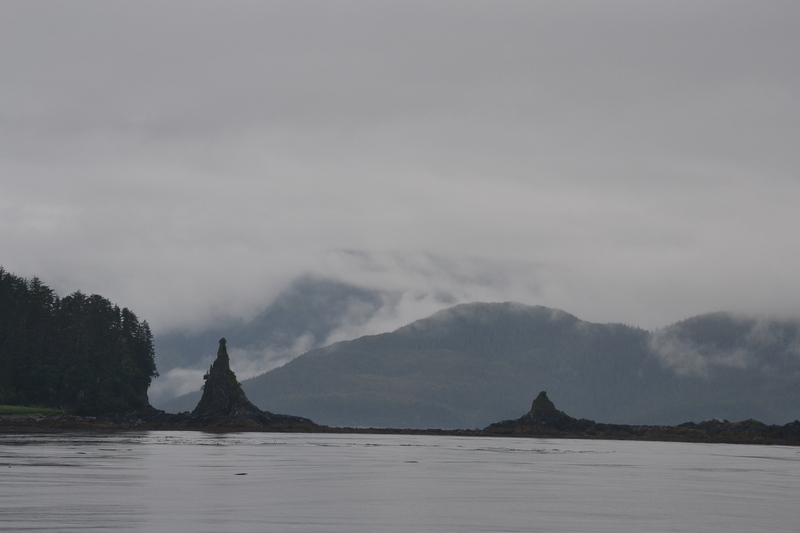 Inside Passage. Bookmark the permalink.